As Christmas approaches, the urge to make all of my favorite holiday treats gets stronger and stronger. 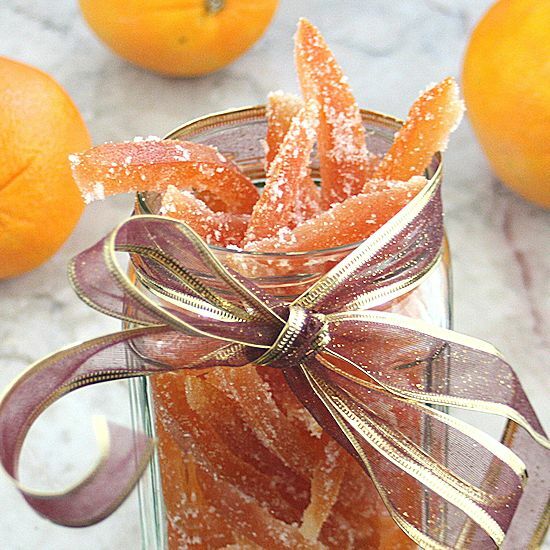 One of the things I always make is candied orange peels, which are swiftly devoured be me, my dad, and my friend Brooke. 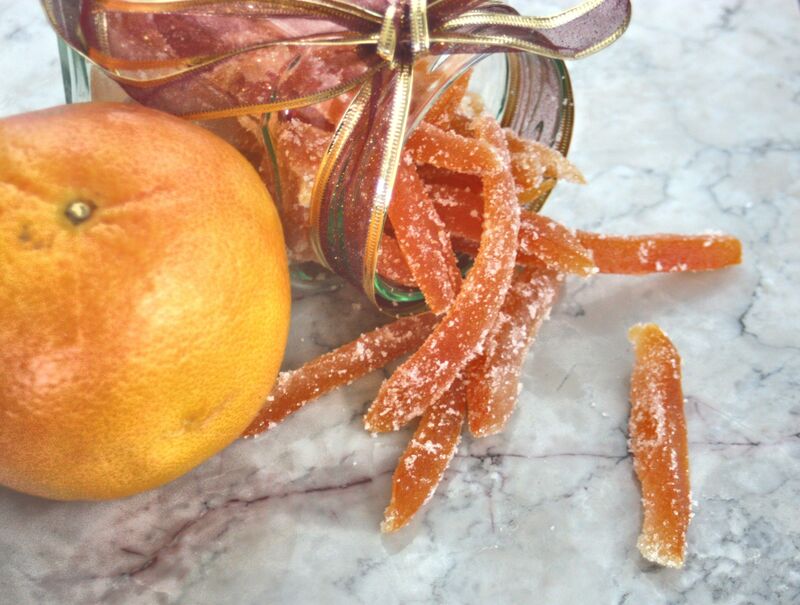 This year I thought I would try a different citrus fruit for my candied peels and settled on grapefruit. The process is labor intensive, but well worth it for such a unique and special treat. 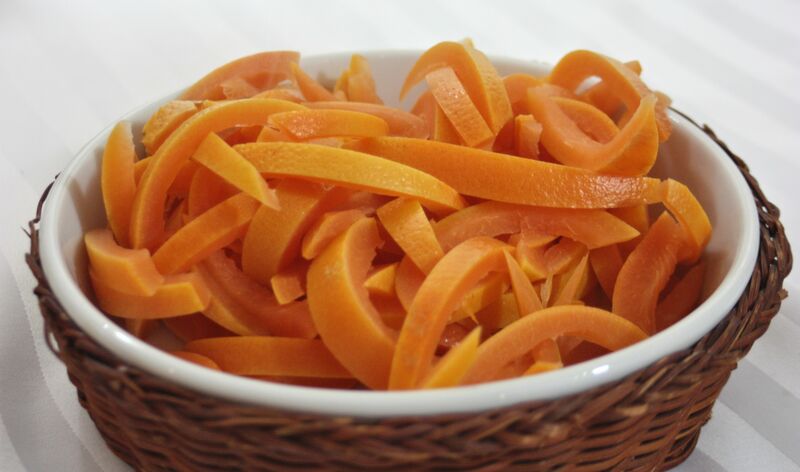 First, you have to create the strips of peel. 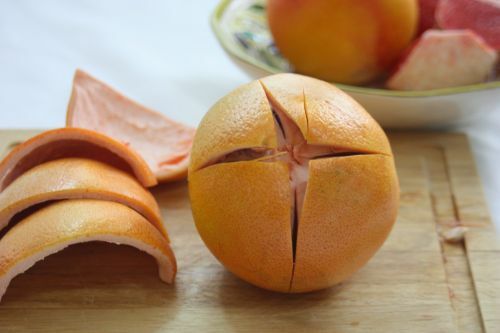 I have found that scoring the peel in quarters allows you to peel the fruit in four, easy, unripped sections. The sections get cut into slices, which are then blanched three times. 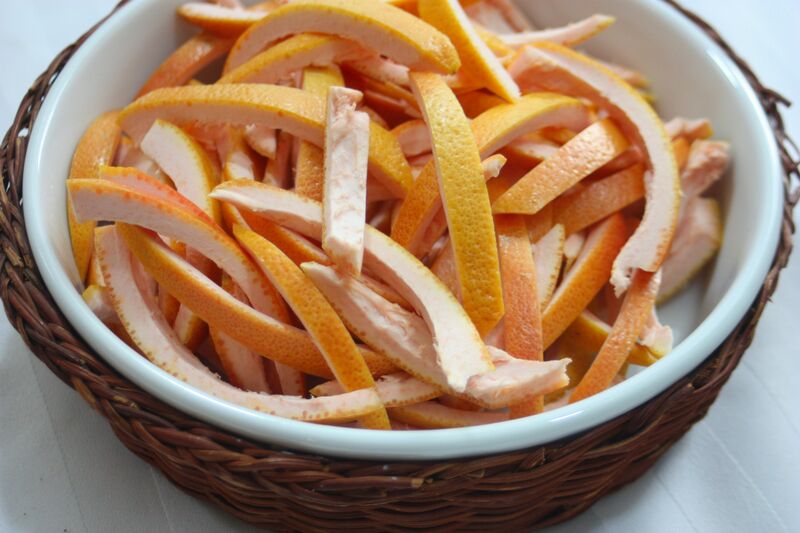 Next the peels get a sugar bath, soaking up some sweetness to balance their natural pucker-up tendencies. Finally, the sugary peels are baked at low heat to dry them out, and then tossed with some extra sugar to coat. I enjoy my candied grapferuit peels as is, but they are equally as good with a coating of chocolate or as a garnish for other festive desserts. How do you like to eat candied citrus peels? 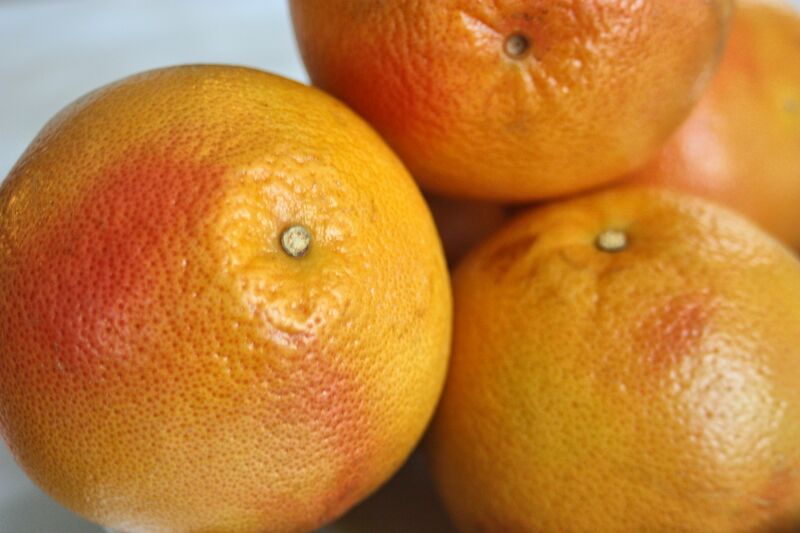 Place the grapefruit peels in a medium size sauce pan, cover with water, and bring to a boil. Drain, then repeat the process twice more. In a separate, large pot place the water, 1 ½ cups sugar, and corn syrup and heat until the sugar dissolves. Add the grapefruit peels (the syrup will barely cover all the grapefruit peels) and bring to a boil. Reduce heat to low, and simmer for 30 minutes, stirring frequently, or until grapefruit peels have become translucent and the syrup has been absorbed by the peels. Remove from heat. Preheat oven to 250 °F and line a large cookie sheet with parchment paper. 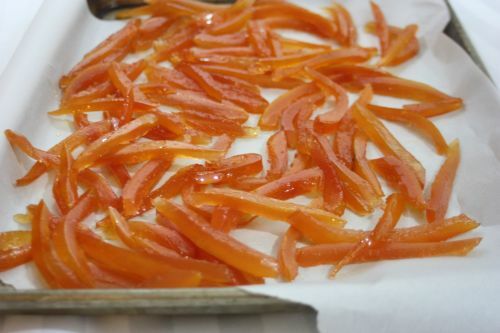 Evenly spread the orange peels over the parchment paper, and bake for 45 minutes. Remove from oven and toss with sugar to coat. Store in a sealed container.